Divorce is often a challenging time in a person’s life. Your family and living situation are likely changing, and your income may be reduced, causing you to worry about the future. However, there are actually some real financial advantages to a divorce that can save you money in the long run. Here are five ways that your finances can benefit from a divorce that you may not have thought about. There are many situations in which a divorce can result in paying fewer taxes, especially if you and your spouse made significant money, and you’re now involved a high-asset divorce. Although your overall income may drop, the fact that you are now filing as single rather than married can knock your tax bracket lower, saving you money. Your alternative minimum tax (AMT) may change, too, letting you take certain deductions or greater exemptions that the AMT didn’t allow with a higher income, saving you even more. Be sure to consult with your tax attorney or accountant to discuss your tax options (especially regarding AMT, which is changing due to recent legislation), or you could be missing out. Money is often a major factor when marriages fail, especially if one partner is more financially responsible than the other. If that responsible partner is you, you’ll finally be able to have complete control over your own finances and budget. For many recently divorced people, this is not only freeing in the financial sense, it also provides a psychological feeling of renewed independence and greater overall happiness. Now that you’re independent, not only do you have control over your own budget, you also only have yourself to worry about. The cost of living for a single person can be much lower than for two people, especially if your spouse’s expensive habits were one of your reasons for a divorce. You may even be eligible to receive spousal support, which can take some of the financial edge off of a reduced income. If you have custody of your children, child support can reduce the costs of raising a child on a single income, too. Washington is a community property state, which means that your spouse is entitled to half of all marital property in a divorce. But by divorcing sooner rather than later, you have the chance to grow your retirement savings and investments without worrying about your former partner. If you haven’t re-married, you may also be eligible to receive social security spousal benefits from your ex-spouse, if certain conditions are met. A college education is increasingly becoming a must-have in today’s world, but higher education costs can be a real burden. If your child is applying for financial aid, he will usually need to include parental information on the FAFSA form. However, after a divorce, your child typically only needs to include financial information for the parent that he lives with, instead of both of you (as long as you no longer share a home with your ex). This may make your child eligible for greater financial assistance, relieving some of the strain of higher education costs. For more information on filling out the FAFSA application, visit the Department of Education website on what information parents need to provide. Every divorce is unique, and whether you’ll be able to take advantage of any of these benefits will depend on your own financial circumstances both before and after your divorce. Be sure to consult with a professional who can answer your questions before you make any decisions that could impact your financial future. 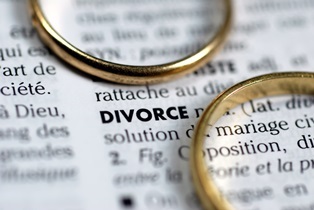 At the Law Offices of Molly B. Kenny, we’ve been helping families through all types of divorce situations for decades, and we’re available to answer any questions you may have about your divorce. To speak with a legal professional about your situation, call us, or use our contact form to send an email, and arrange a private consultation in our Bellevue office today.